Probiotics are beneficial strains of bacteria that maintain and restore the normal balance of microflora (bacteria) in the gastrointestinal tract. The normal intestinal balance may have been disrupted by drugs, like antibiotics, NSAIDs, or steroids. Dietary change or poor diet. Exposure to a pathogenic virus or bacteria. Exposure to pollutants or allergens, such as pesticides, chemical fertilizers, etc. Stress due to changes in environment, etc. Probiotics for dogs can aid food digestion and improve lactose intolerance. As a result, they are effective in preventing and treating intestinal disorders caused by poor digestion, such as diarrhea, vomiting, gas, and bloating. Skin Irritations, such as psoriasis, eczema, etc. Use of probiotics as a supplement can help prevent or treat such dog health problems. Probiotics are nutritive and can manufacture vitamin B groups, biotin and folic acid. They stimulate the immune system and therefore improve the health and general physical wellbeing of our dogs. Given to puppies, probiotics can improve growth by aiding digestion and absorption of nutrients, antioxidants and iron from food. Probiotics can also enhance appetite and increase energy levels, so they are beneficial to aging dogs or dogs with low energy levels. Some probiotic bacteria can inhibit the growth of some yeast (such as Candida albicans), and can produce natural antibiotics that overpower pathogenic bacteria or microorganisms, such as salmonella, E-Coli, etc. Other probiotic bacteria seem to be able to act as catalysts that trigger the immune system of the gastrointestinal tract to produce and synthesize different chemicals and hormones, resulting in a reduction of damage due to inflammation. 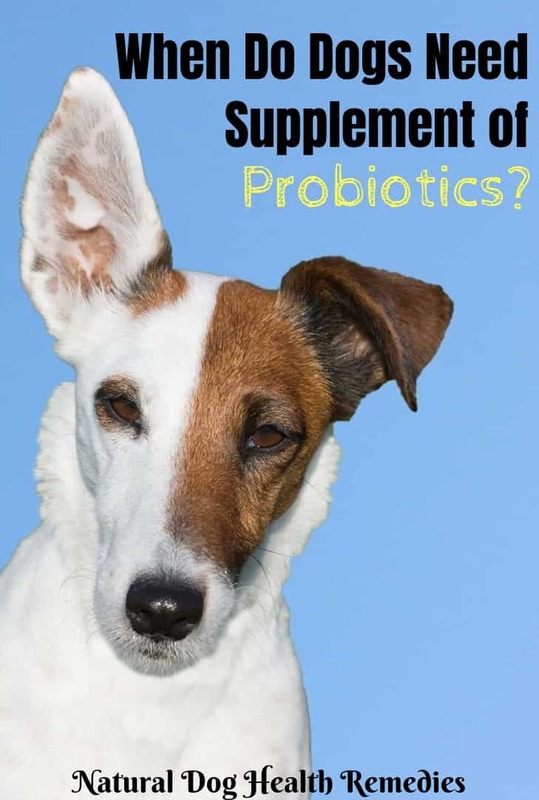 Probiotics can be given to dogs as a dietary supplement and all dogs can benefit from them. Probiotics are beneficial for puppies. At birth, the puppy's intestinal tract is relatively "clean" and sterile; it is a good time to fortify the tract with these beneficial bacteria at this stage. Probiotics are also beneficial when a puppy starts to wean. They can help the puppy's digestive system to adjust to the dietary change from mother's milk to puppy food. In addition, they can assist in food digestion and nutrient absorption. Antibiotics kill off the good beneficial bacteria in the dog's digestive tract. If your dog has undergone antibiotic treatment, therefore, it is advisable to supplement the dog with probiotics. This will help replenish the beneficial bacteria in your dog's digestive tract, and restore the balance of intestinal microflora in the tract. If your dog is suffering from digestive disorders, such as diarrhea and gastric ulceration due to infectious causes, probiotics can be used as part of the treatment. Other digestive problems such as constipation, flatulence, bloat, etc. will also benefit. As mentioned above, many symptoms of allergies (itching, eczema, etc.) are connected with an imbalance in the intestines. 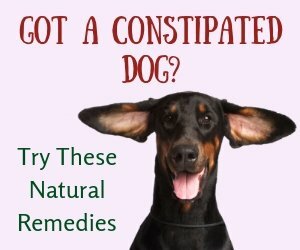 Therefore, very often, supplementing your dog with probiotics can alleviate these symptoms a lot. Stressful situations and events (e.g. long trips, vaccinations, environmental changes, surgery) can result in reduced appetite, which in turn can lead to malnutrition and weakened immunity. Probiotics can help improve digestion and strengthen the immune system at these stressful times. You may wonder if you still need to supplement your dog with probiotics if the food you feed him already contains probiotic additives. The answer is "Yes"! Since probiotics are bacteria, they must be live and able to reproduce in order to do their jobs. However, when dog foods (e.g. kibbles) are being processed in high heat, the live bacteria added to the food are in fact killed. By the time the food is packaged, most of the added probiotic bacteria are dead. Cancer is as a result of inflammation. And if a dog's gut is unhealthy (e.g. too many bad bacteria in the gut), it can lead to a host of inflammatory health issues, including cancer. Also, harmful gut bacteria have actually been associated with certain types of cancer (e.g. stomach, colon, bladder). In 2013, researchers from UCLA's Johsson Comprehensive Cancer Center found that certain types of "bad" gut bacteria contributed to lymphoma in people. Though no studies have been done on dogs, it's also possible that over-proliferation of bad bacteria in a dog's gut could cause lymphoma. Probiotics can maintain the balance of the gut flora, thus keeping the "bad" bacteria in check and potentially prevent certain types of cancer from developing. 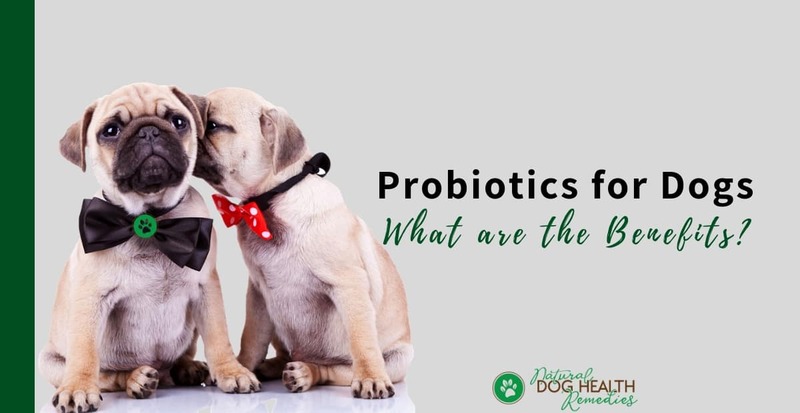 Relatively little medical research has been conducted and documented on the use of probiotics in dogs (and other animals). However, probiotics appear to be completely safe and anecdotal reports of the use and effects of probiotics on dogs have been positive. Because probiotics are not drugs but living bacteria, the precise dosage to give to dogs is not that important. The suggested range for pets is, depending on the size of the pet, approximately 20 to 500 million microorganisms per day. If your dog is on antibiotics, it is advisable to give him probiotic supplements at least 2 hours after administering the antibiotic drugs, several times a day. In addition, when the antibiotic treatment is completed, double or triple the probiotic dose for 7 to 10 days to fully "replenish" the good bacteria in the dog's intestine. Probiotics include a variety of strains, most of which are lactic acid bacteria, such as L. acidophilus, and L. bulgaricus. Recent research shows that if you want optimal health for your dog, a supplement of probiotics for dogs that contains 10 beneficial strains of bacteria or more is best. Also, dogs' guts contain species-specific microflora that is different from ours, so make sure that you get a probiotic supplement that is formulated specifically for dogs. This probiotic supplement contains 14 stabilized species of beneficial bacteria, formulated specifically for dogs. It is easy to administer. Just sprinkle the powder on your dog's food! Plain unsweetened yogurt is a good source of probiotics. A simple way to give yogurt to your dog is to put a tablespoon or so (depending on the dog's size) on his food as a "topper". Of course you can also make frozen yogurt treats for your dog! Kefir is a fermented milk made with kefir grains and is rich in probiotics. Kefir contains 10 strains of bacteria, and is antifungal. You can get unflavored kefir at most supermarkets or if you prefer make it yourself! How much to give your dog depends on the dog's size. Start with 1 teaspoon for small dogs and 1 tablespoon for larger dogs. Fermented vegetables are also rich sources of probiotics. There are different ways of making fermented vegetables. Here is a recipe for making fermented cabbage juice. Again, start off slowly - your dog doesn't need much to benefit from it. To give cabbage juice to your dog, mix 1 teaspoon of the juice with 1 teaspoon of water. You can add the diluted juice to your dog's food. A dog's digestive tract is the largest "frontline" immune organ in his body. Dogs get in contact and in fact ingest a lot more harmful bacteria than we do, and their digestive tracts are able to handle a large amount of harmful bacteria, thanks to the "friendly" bacteria in the guts. They act as the body's first line of defence against all the potentially harmful bacteria and other microorganisms that your dog eats or inhales. Thus, having a constant supply of these friendly bacteria in your dog's GI tract can help prevent a wide range of health problems, and a healthy well-balanced microflora in your dog's digestive tract is essential to keep the immune system in good working order. To achieve this, these friendly bacteria must be present in optimal numbers and ratio (approx. 85% beneficial to 15% non-beneficial). If the balance gets out of whack, your dog's immune system will be compromised and will most likely develop digestive problems as well as an increased susceptibility to other health problems.